TORONTO, ON--(Marketwired - July 15, 2014) - Tattoos are so common today that statistics show there are 49 million Americans with a tattoo. They also reveal that 59% of women between the ages of 20-35 have a tattoo compared to 41% of men. This is the first time ever that more women have tattoos than men. "There is a whopping 20% regret factor with people having a tattoo today," says Toronto cosmetic surgeon Dr. Stephen Mulholland of SpaMedica Canada Inc. He says of all laser tattoo removal patients, 69% of them are women. 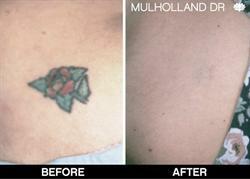 "In the past two years, the popularity of tattoo removal has increased by 32%," says Dr. Mulholland. Cynosure, the creators of PicoSure™, and Dr. Mulholland have been working closely together to educate American physicians about the growing tattoo removal market. Their goal is to show that Picosure™ is the best laser for any tattoo removal clinic. Dr. Mulholland travels around the U.S. to teach doctors at monthly Advanced Cynosure workshops on the newly released PicoSure™ laser. 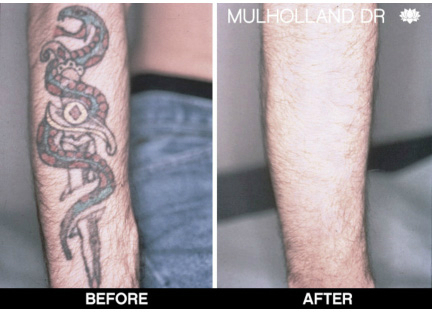 Before the introduction of PicoSure™, Dr. Mulholland would warn laser tattoo removal patients that the process required 8-16 treatments and would only provide 70-75% clearance. 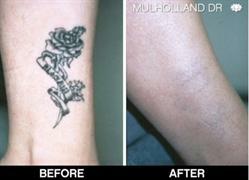 Ghosting and whiting of the skin where tattoo pigments were was also a risk. "By contrast, the Picosure™ pulse duration is a trillionth of a second and is so ultra short there is very little thermal effect. The tattoo pigments are shattered by an acoustic wave," says Dr. Mulholland. 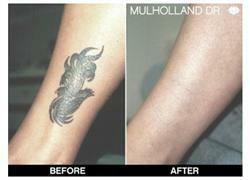 The shattered tattoo ink particles turn into tiny grains of sand and are then eliminated by the body. With its speed and efficiency, PicoSure™ delivers over 90% tattoo removal in 3-6 treatments. Another advantage of PicoSure™ is that it can remove tattoos that are resistant or have been partly removed. Watch the video to see Dr. Mulholland perform a live PicoSure™ laser tattoo removal procedure at his recent Seattle Advanced Cynosure laser workshop, or view the PicoSure™ before and after photo gallery. About this company SpaMedica Canada Inc.